Are Women In Leadership Positions The Key To Equality & Progress In Religion? If you haven’t grown up immersed in any sort of spiritual surroundings, it’s hard to look at certain news stories about religious extremists and have an optimistic view about religion. Even people who DO have a foundational belief of some sort get very disillusioned by their experiences in church or by the way they see people get treated in the name of religion. There is a huge war waging against women, and a big part of it is being done using religion as the excuse. We have no qualms about saying this: but that is not true religion. When you look at extremist groups such as Boko Haram and the Taliban who make it their mission to ensure girls are prevented from having an education and women are not equal in society, it’s hard to understand that religion would benefit women in any way. Theologist Mary Jo Sharp writes a very insightful study on whether the Prophet Muhammad advocated for women’s rights as many believe he did. She argues that the Quran explicitly states men are superior to women and that women exist to serve men. It is a difficult concept to stomach for those of us in the West. While many say the bible and other religious texts are outdated and ancient books no longer relevant, it is important to look at the actions of the church to get an idea of the movement that is happening within these religious institutions to get a better idea of how gender equality is affecting them. The Muslim religion was the topic of a major headline in Los Angeles recently, and surprisingly it was because of something positive and empowering. 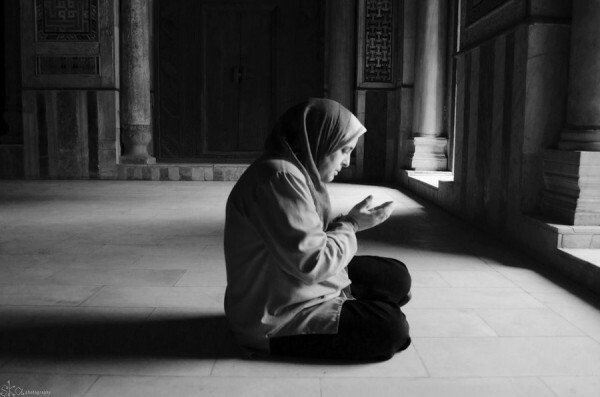 In traditional Mosques, women have to pray separately from men, which means they don’t always hear the sermon being taught (also traditionally by men). At an inter-faith center in downtown Los Angeles, a group of women gathered to hear a female leader speak in what is being touted as the first all-female Muslim gathering in the United States. They already exist in other countries such as China and India. The inaugural meeting of this kind took place on January 30 and marked the launch of the Women’s Mosque of America, a nonprofit that hopes to create a space where Muslim women can “bring their whole self,” learn more about their faith and foster bonds of sisterhood. 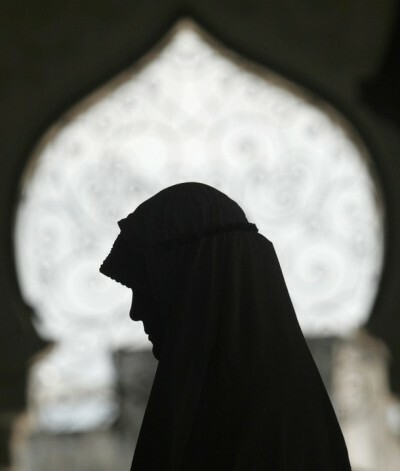 Many women don’t find it easy to approach male Imams if they have questions about their faith, which makes this unique setting quite empowering for Muslim women. “When only half of the membership is contributing to the success of the whole, we’re not going to be as well-off as we could be,” said M. Hasna Maznavi co-founder of the women’s mosque. What’s also exciting is to see this progression happening all over the world. Let’s take a look at the Catholic church. Ever since Pope Francis was elected to the highest position in the Vatican, there has been noticeable change. Among many public displays, he has shown great respect toward women and made sure the world knows they are valued within the Catholic church. After the many years being dogged by sexual abuse scandals, it is important the Pope make a statement about the church’s members that have previously been overlooked in the media. 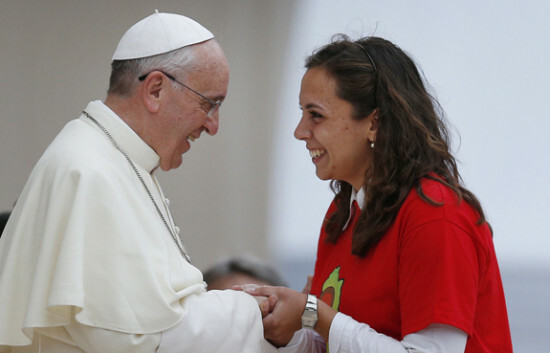 At the Vatican’s Pontifical Council for Culture held in early February, Pope Francis made more important statements about women’s role in the church in a talk titled “Women’s Culture: Equality and Difference”. He called for the empowerment of women without diminishing the role they play in their families. “You cannot forget the irreplaceable role of women in the family. The qualities of delicacy, peculiar sensitivity, and tenderness which are abundant in the female soul, are not only a genuine force for family life, but also a reality without which the human vocation would be unfeasible,” Francis said. He went on to talk about women not just being sideline spectators as they have been seen in the past, but to be full participants in social and spiritual life. He emphasized the need for equality and progression on the issue of women’s rights within the church. 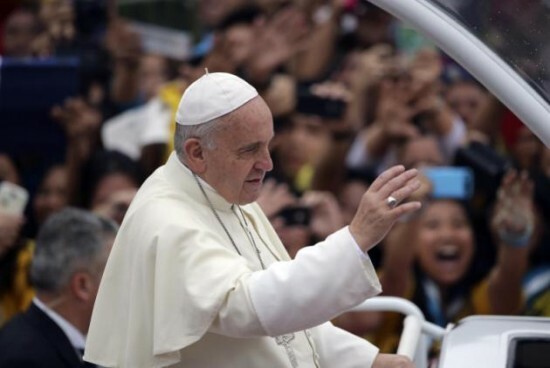 Pope Francis said the “traditional subordination” of women could have negative effects on a progressive world, and made a call to protect women from slavery, commodification, mutilation, and any other form of degradation that reduces women to an object. On that last issue of women being an object, the Pope slammed plastic surgery saying women should not feel the need to choose this route to feel beautiful, before moving on to more pressing areas of equality. “I wish to draw attention, in this context, to the painful situation of so many poor women, forced to live in dangerous conditions, being exploited, relegated to the margins of society and victims of the throwaway culture,” he added. Among the topics discussed was also female leadership in the church which leaders at the Vatican made clear was an ongoing discussion. Given the bold statements from the Pope already, it may only be a matter of time. 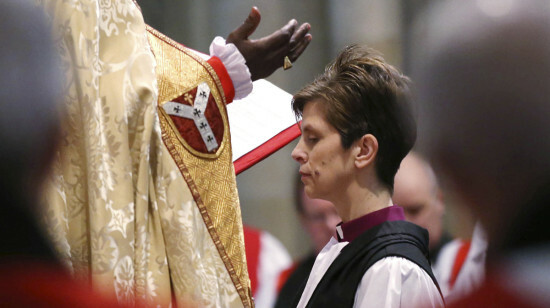 Elsewhere in Europe, the Church of England made a historic decision in 2014 to allow female Bishops as part of their system. 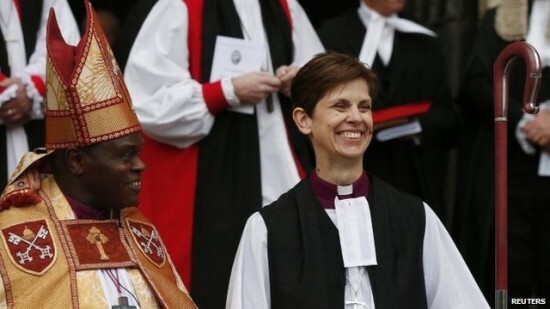 Reverand Libby Lane officially became the first female Bishop in the country, ending 22 years of resistance from the church that women might become priests, according to the Guardian. The General Synod entertained the idea that females could be appointed to the highest position in the spiritual institution, but it took until November 2014 for an actual vote to take place and it to become law. Libby Lane said in a statement she didn’t feel like this was just a progressive gesture from leadership within the church itself, but a divine appointment from God. Many were baffled by the Church of England’s initial resistance to women being allowed into the highest level of leadership, as the majority of churchgoers are women, and with an average age of their members being 61 years (and rising) they cannot afford to stick to antiquated laws that exempt women from playing a crucial role. In the Jewish religion, there has been some major news in terms of female leadership where it was previously non-existent. Jennie Rosenfeld became the first woman in the history of Israel to be appointed as spiritual advisor in the Israeli community of Efrat. Jennie Rosenfeld officially took up her new position on February 2nd, and her appointment is said to be part of a growing trend in Israel of women pushing hard against the church’s glass ceiling. With this type of progressive news coming out of Israel, it remains to be seen what kind of an affect it will have on constituents of the Jewish faith elsewhere in the world. Rabbi Dana Saroken, who has been serving as associate and then senior rabbi at the Conservative Beth El Congregation in Pikesville, Md., since 1998, told JNS.org that she finds that congregants seek counsel equally from her and from the synagogue’s male senior rabbi. “The challenge is the readiness of particular communities to say, ‘We recognize having women in this position can and usually does enhance the experience of the congregants and of the community,’” she said. In terms of female Rabbis, the first woman to be allowed this position was Regina Jonas of East Berlin, Germany in 1935. She was killed during the war in 1944, and the country waited a long time before ever seeing another female Rabbi. In November 2010 Germany ordained Alina Treiger as the first female rabbi since Regina Jonas marking a major step in the reintegration of Jews into modern German life. In the United States, the Reform movement ordained its first female rabbi in 1972, the Reconstructionist movement in 1974, and the Conservative movement in 1985. 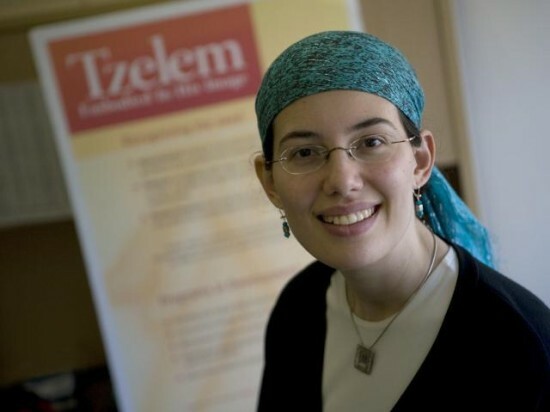 The Orthodox movement has yet to officially accept women in its rabbinate, although a few Orthodox women have been ordained in some seminaries. There have been other women’s groups, religious, political and cultural, who are pushing for more visibility in public life saying they have a lot to offer of importance to Israel and the Jewish way of life. Moving on to the Church of the Latter Day Saints in the US, also recognized as the Mormon church, there have been tumultuous discussions about the elevated role of women in their organization. 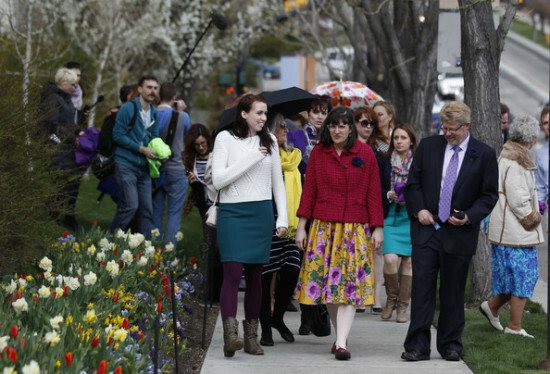 Salt Lake City resident and Mormon church member Kate Kelly made headlines in 2014 for her campaign to have women ordained. Her campaign called ‘Ordain Women‘ divided many members within the religion (while also attracting many female AND male supporters), but ultimately it resulted in her being excommunicated in June for her actions. The church currently has a membership of 15 million worldwide – any male from the age of 12 and “in good standing” can join the priesthood. No female can. Unlike other churches such as the Church of England, the LDS Church does not have a professional priesthood. It operates what it calls a “lay” clergy – male members take turns to fulfill the roles. Kate referred to the issue of allowing black men to become priests. They were previously banned, but in 1978, more than a decade after the Civil Rights Act, they were allowed. Kate holds out hope that if black men can be welcomed into the priesthood, eventually women will too, which is why she is not giving up the fight despite her ex-communication. Because part of the Mormon belief is based on revelation from God, it is a difficult issue to balance when it comes to women in leadership. Do they follow the progressive order of the day, or wait for the proverbial lightning bolt from heaven? Some women are happy to maintain the status quo, and others, with the emergence of Ordain Woman, feel they have been given a public voice in the life of their church like never before. This is an ongoing issue and we have no doubt there will be more to report in the coming years. The patriarchal nature of some religious institutions being called into question and more importantly, being allowed to be re-examined by members and leadership is only the start of change. 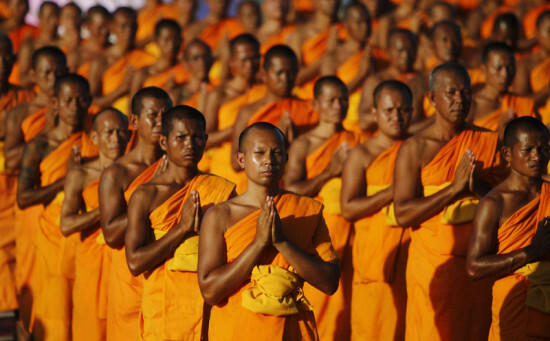 Buddhism’s patriarchal leadership has also been called into question lately as certain members believe in order for the religion to become a force for social change, they need to get rid of the barriers for women to become leaders. Ajahn Brahm, a British Theravada Buddhist monk, writes in Tricycle that because Buddhism lends itself largely to the advancement of social justice causes, gender equality must be a priority and it must start from within it ranks. “Buddhism should advance the particular social justice issues described in United Nations Millenium Development Goal Number Three (MDG 3): Gender Equality and the Empowerment of Women. For Buddhism to grow in our modern world, we need to do more than teach meditation, preach inspiring sermons, and make the sutras available online,” Ajahn writes. He goes on to cite early teachings from Buddha himself who apparently clearly states he intends to give full ordination to women. With these explicit teachings Ajahn argues that Buddhism should have an advantage over other major world religions like Christianity, Islam and and Judaism which doesn’t specifically outline women as leaders and teachers in their church, although some would argue they do when you look at original texts and understand certain cultural translations. “By fixing our own house first, we have the considerable opportunity and moral authority to inspire our Buddhist followers to work toward gender equality in spheres other than religion. Such action would lead to a world with less violence, better health, and more prosperity,” he said. His sentiments may have been in reference to Buddhism specifically, but they also apply to and should extend to other religious groups. Ani Zonneveld, head of Muslims For Progressive Values also said something vitally important an an article for the LA Times about the all-female prayer space in Los Angeles. For us, that is the most important aspect. Seeing equality as something attainable in all spheres of life. Feminism states it strives for the social, political and economic equality of the sexes. We dare to say the women and men in this article are pushing to expand that notion to include religion also. This list is by no means exhaustive, nor does it address every aspect of the religions mentioned. There are still many grave injustices which must be addressed and changed within these institutions. But from an objective point of view we feel it is important to recognize the progress being made in the hope that the media can keep religious institutions accountable and on their toes when they publicly claim they are moving toward a place of gender equality.